AU summit to focus on regional conflict - SABC News - Breaking news, special reports, world, business, sport coverage of all South African current events. Africa's news leader. The continent currently hosts 22 million refugees and Internally Displaced Persons. 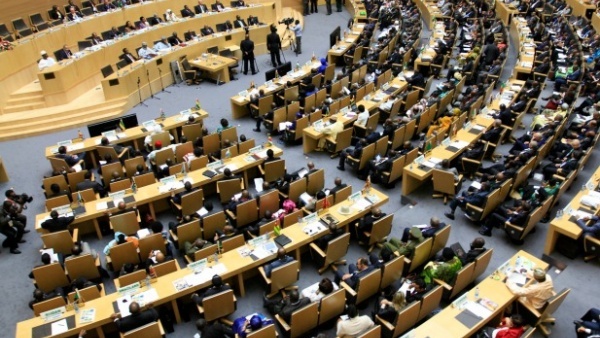 The African Union (AU) summit gets underway in Addis Ababa on Saturday. The summit will focus on conflicts in the region to stem the influx of refugees. Chairperson of the African Union Commission, Musa Faki Mahamat, will meet United Nations (UN) Secretary-General, Antonio Guteress, to discuss how the UN can support Africa’s peace efforts. Later in the day, the South African Development Community (SADC), will meet to deliberate on the situation in the Democratic Republic of Congo (DRC) and Zimbabwe. President Cyril Ramaphosa, who arrives in Ethiopia on Saturday afternoon, is expected to attend the meeting. during this year’s Summit. This will bring to 17 the number of countries that have ratified the agreement. A minimum of 22 ratifications is needed for the agreement to take effect. The AFCFTA aims to create a market of 1.27 billion people. Less than a year since the signing of the agreement, the African Union is upbeat that it’s on track to create the world’s largest market. 49 out of 55 African Union nations have signed the agreement with two more expected to sign on during this month’s summit. Focus is however on the ratifications which pave the way for the implementation. 17 countries have now ratified. The AU says the AfCFTA, an initiative aimed at strengthening trade in Africa will spur industrial development. This entry was posted on 09 Feb 2019,09:08AM at 9:08 AM and is filed under Africa, Homepage Featured Story Slider. You can follow any responses to this entry through the RSS 2.0 feed. Both comments and pings are currently closed.